Luke Holroyd is a UK-based wedding photographer who travels all over the world capturing people’s special day. To see more of his work, visit his website or give him a follow on Facebook and Instagram. So last week I got rather excited when UPS dropped a package on the office doorstep, like all photographers, whether you’re an amateur or pro, we all love new kit. Firstly, a big thank you to BIllingham Bags for sending across the 225 camera bag which is part of the 5 series collection. For anyone who’s interested in photography, I can guarantee the majority of you will have heard of Billingham Bags and in particular the popular 5 Series range from Billingham. There’s not many photographers I meet that don’t already rock a Billingham Camera Bag on their shoulder or plan to invest in one. That’s the big thing when it comes to Billingham Bags, investment is the keyword, a camera bag should be a major part of your kit list, for me it’s up there as one of my priorities. 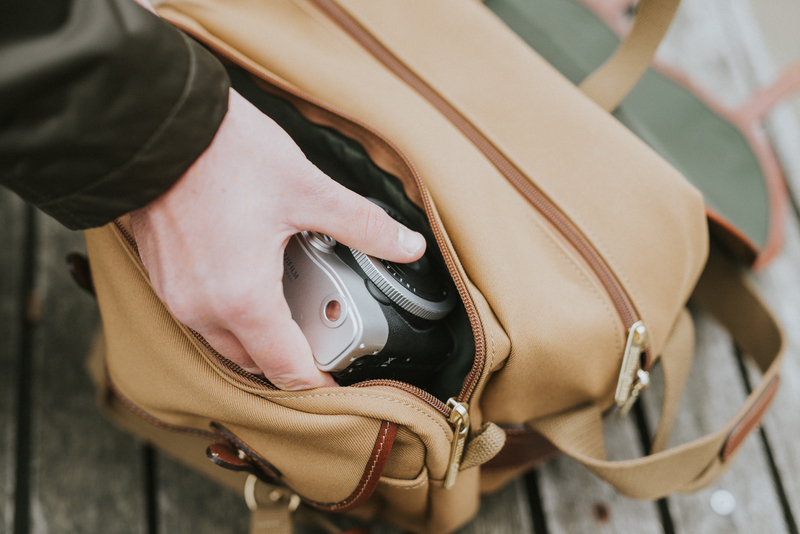 Without stating the obvious too much, every photographer, in any genre, needs a camera bag that holds all your gear, adds protection and ultimately gives you piece of mind that your equipment is safe. Billingham have been offering these components since 1973, so we can probably be sure they know a thing or two about camera bags & rucksacks. I myself have been rocking a Billingham bag for the last 7 years, I bought mine second hand whilst I was finishing my photography degree in Derby, the thing is over 30 years old and still looks the part and keeps my kit safe! 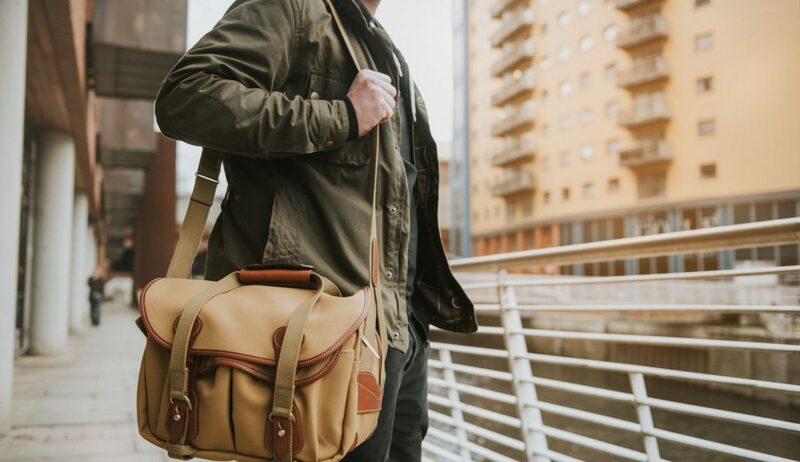 Don’t be tricked into thinking because these awesome camera bags can literally last a lifetime that the guys over at Billingham have sat on that formula and not been working hard on new products. 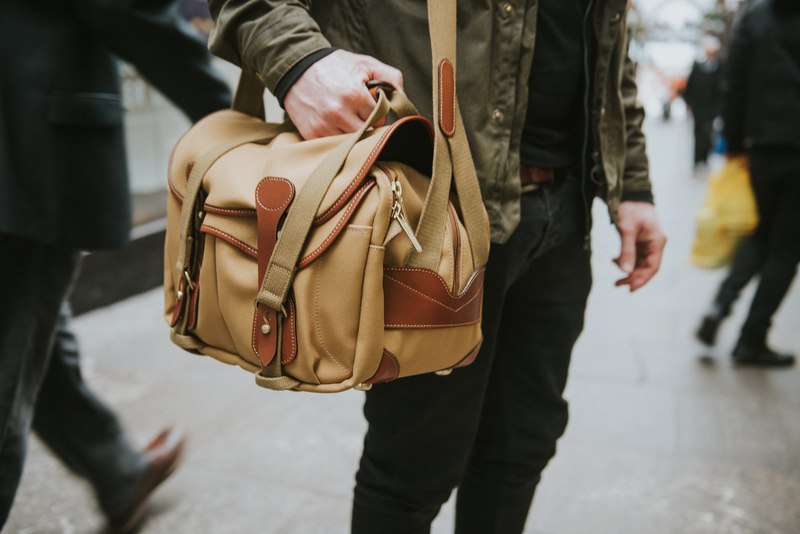 It’s clear to see from the crazy amount of innovative bags and rucksacks they are producing currently, that Billingham is still a leading force in the camera bag industry. 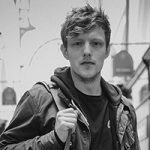 They’ve expanded that core British product into a vast range of bags and accessories that are easily recognisable and respected across the world with creatives and photographers. 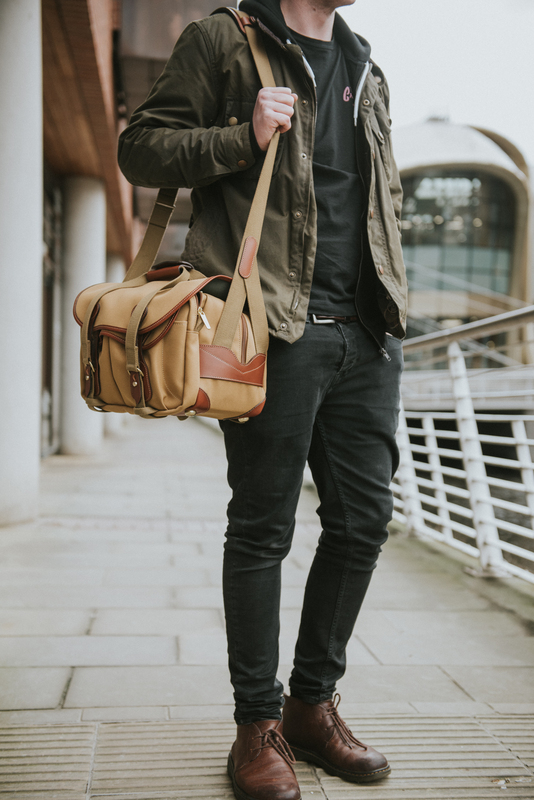 Each bag they produce has over 100 individual components, from the brass buckles and fittings, the genuine leather trims and edging, the soft-weave fabric and waterproof canvas. 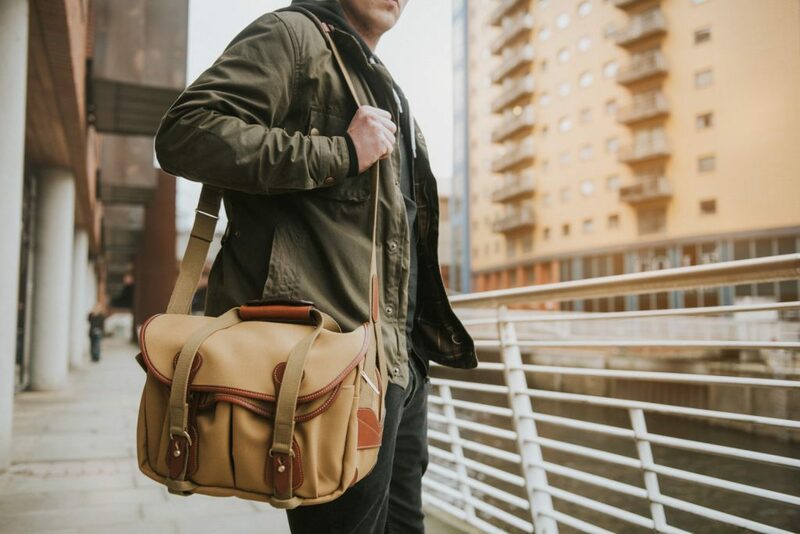 There’s certainly no other camera bag to rival a Billingham on the combination of safety, manufacturing, heritage and style that is still all handmade in the United Kingdom. But that’s enough of me, let’s drop the 225 Review! 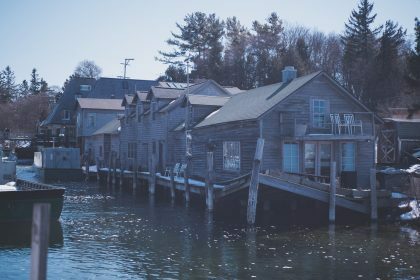 I could probably let the photographs do the talking on this blog post, but I will try and add some context for you all. The 225 Shoulder Bag is designed to carry a digital SLR camera with lenses and accessories. It’s the smallest camera bag in the Billingham 5 Series but it’s no pushover. For me the 5 series collection is the perfect solution for photographers, and in particular wedding photographers, who are always on the go and need to access their gear quickly but still with that added safety and protection we all expect. 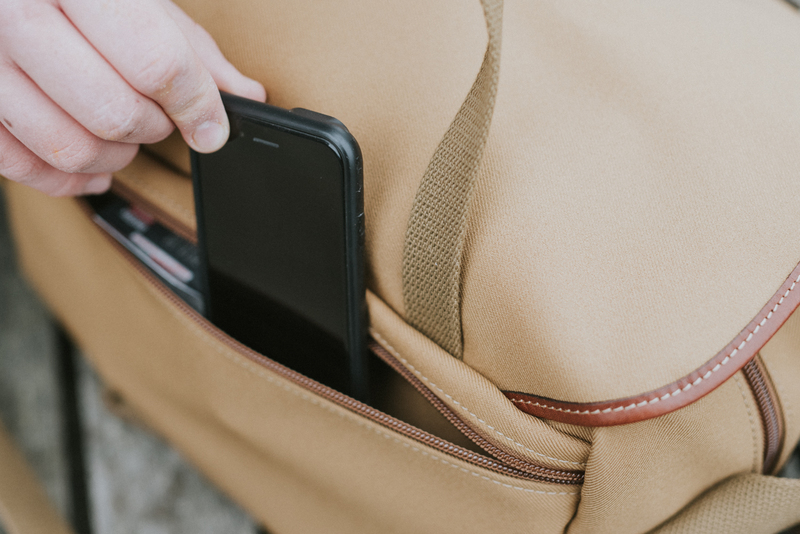 The 225 bag has 4 interior slip pockets that are located between the main inner compartment and the exterior, along with 2 large front exterior pockets and 2 pen pockets on the front. It is carried by an interior grab handle that allows the protective cover flap to remain open, or by a leather grab handle that snaps together securely for easy hand carrying. A Delta Sling shoulder strap with a heavy-duty, neoprene-backed, leather shoulder pad provides another transport option. The TukTop feature allows the two sides of the zipped opening to be tucked behind the bag’s internal front and rear dividers, this works perfectly if you’re going to be changing lenses or needing to grab equipment quickly. You’ll find nine good sized main pockets in all; two at the front under the flap , two in the inside zipped front compartment , four internal slip pockets in the main compartment and a full length zipped rear pocket . Each photographer will have a certain way they pack up their kit, the various pockets allow you ample storage and the ability to keep gear separate if you require. For me as wedding photographer I carry a ton of gear that isn’t actual camera gear, objects such as hair grips, suncream, phone charges and passports, so the 5 Series gives me all that extra storage I need. The 225 boasts the new adapted Quick Release System which allows the leather straps to pass through the slide ‘D’ rings at the end of the webbing carry handles. This mechanism ensures the bag can be closed quickly and securely even when the bag is heavily loaded. Behind the main flap you will find the secondary flap which protects the two full depth front pockets. By their side is a handy pen pocket and behind them there is the full width double zipped pocket and of course, the main zipped compartment with the TukTop feature. At the back, a full width zipped pocket is ideal for mobile phones, manuals & documents. Thanks to a third, internal web carry handle , moving a 5 Series around safely even with the main flap open is no problem. You will find this feature very useful when changing lenses, or don’t need to be continually opening and closing your bag. All 5 Series bags are fitted with an adjustable ‘Y’ shaped Delta sling, designed to help prevent rocking, even when the bag is full. Some final thoughts from me and I think it’s only fitting that I state the 5 series range are very suitable for many wedding photographers. Some photographers may struggle with the smaller size of the 225 and opt for a larger bag in the series, but for my shooting style and approach it suits me perfectly. I usually rock a Holdfast Money Maker whilst capturing weddings so I know my camera bodies are close by my side and then use a camera bag to house my extra lenses and all the other accessories we mentioned earlier. Therefore I need something portable, that looks professional and clean during weddings and can still carry a reasonable amount of gear & equipment. Another hidden gem of the 225, it can be taken on aeroplanes as hand luggage, for any destination wedding photographer like me, having your kit by your side – or in this case in the overhead compartments – is a must when travelling. Away from weddings it’s the perfect day bag for a photographer, you can easily house a body and lenses along with your water bottle, lunch, notebook computer and important documents. The added bonus of comfort with the bag and piece of mind your equipment is secure from pickpocket’s makes it a win win for me. 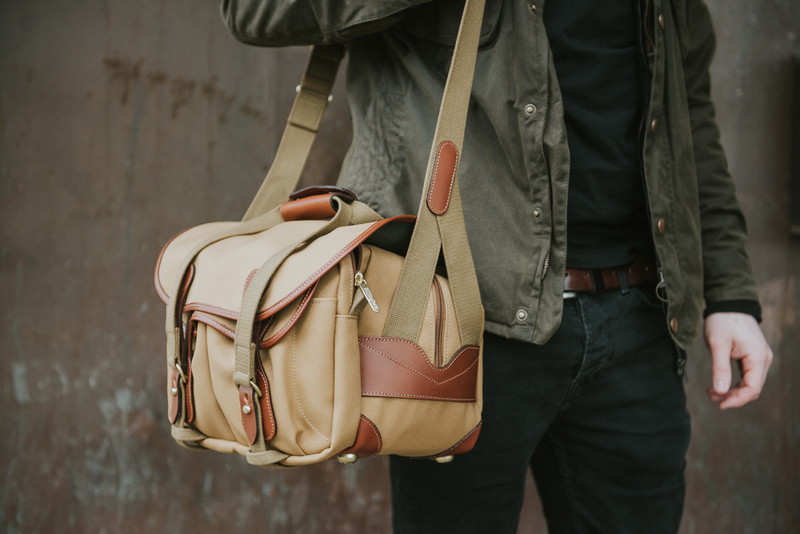 As with all Billingham bags and accessories you’re guaranteed British craftsmanship that boasts quality and durability. For something that looks so beautiful you think they may be disadvantages when it comes to the safety of your gear, but everything about these camera bags are sublime. Other than carrying my equipment in a Pelican case all day, I’d struggle to find another bag that beats the 225. 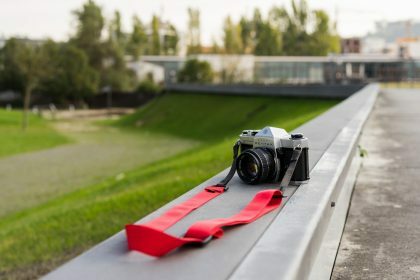 The attention to detail when it comes to the appearance and that unique heritage appeal means the bag will never look out of place and adds a huge advantage over some of the other camera bag companies. Not only does the 5 Series Range scream professionalism to onlookers, the useful pockets and compartments make them more versatile than many other came bags on the market. 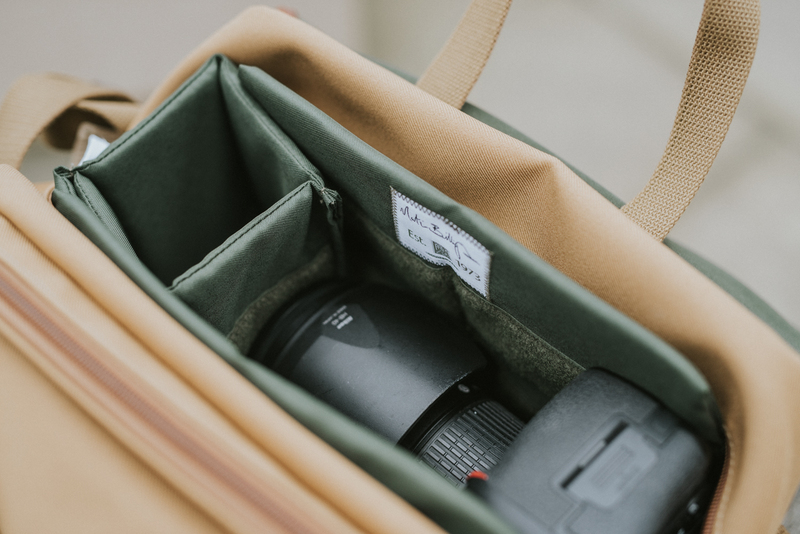 The soft-weave fabric which protects the 225 from weather conditions is a must for me, shooting weddings in the UK usually means I’m having to deal with bad weather conditions so I want a bag that I can place down knowing it will protect my equipment from the elements. The 225 Stormproof lining and materials ensure whatever job and weather faces you, the gear will be protected and I can guarantee the 225 will still look just as good even after the elements. With regards to the comfort, the 225 isn’t going to compete with the likes of the Billingham Rucksack, after all it’s a shoulder bag. Obviously the 225 isn’t designed for the same purposes the Rucksack is designed for but it does offer a surprising amount of comfort for a shoulder bag. The shoulder pad allows you to load the bag with heavy equipment and still feel comfortable whilst carrying the 225 around, so if you’re thinking of the 225 for your wedding photography, trips into the city or studio then it’s perfect.. but I wouldn’t go hiking with one anytime soon. 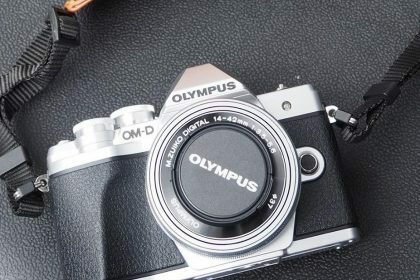 Photographers should be well aware that quality costs money, therefore the price range of the 225 and the 5 Series shouldn’t come as a surprise. It seems like an obvious statement to make but if you’re spending £3000+ on photography gear then a few hundred on a piece of kit that houses it all safety is surely a no brainer! A Billingham is a camera bag that’s going to last decades and will certainly outlive your cameras, you’re buying into craftmanship that has been built to last. Like I mentioned earlier a quality camera bag is an investment not a purchase. Throw Billingham Bags into an eBay search and you’ll see how much these camera bags are valued even when they’re second hand.